Even if you’re not celebrating the holiday for religious reasons, Easter is a great time of the year. There is a lot of positive energy in the air and Barcelona is the perfect place to come and enjoy a long weekend break. Almost half of Barcelona’s residents identify as Catholic and despite a gradual decline in that number over the years, Easter traditions are still a strong part of life in the Catalan capital. This means that there is a lot to enjoy here in Barcelona! Looking for ideas on what to do on Easter in Barcelona? Here’s a closer look. Throughout Spain, the run-up to Easter is celebrated by a lot of the local population. Semana Santa (“Holy Week”) is filled with processions, masses, and delicious feasts. This week falls between 14-20 April. Here is a look at the key activities and traditions that are just waiting to be enjoyed. Excited to experience some Spanish culture? You’re in luck: there are a huge number of processions throughout the week, beginning on Palm Sunday. These processions often take place around Barcelona’s Cathedral – not to be confused with the Sagrada Familia. You will see a huge number of people enjoying the festivities, taking the opportunity to come together and enjoy a special time. If you want to get some unique photographs, you will find a lot of stunning moments to capture forever. Looking for that perfect angle? Check out our list of Barcelona’s best viewpoints for amazing Instagram shots. While you are in Barcelona, you will want to sample the delicious local cuisine. 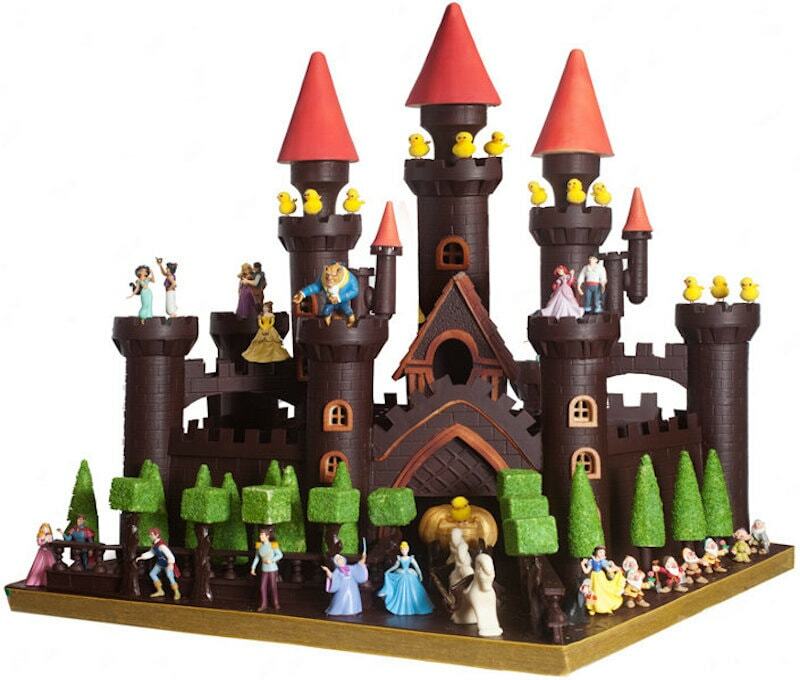 Around Easter, there is a particularly tasty treat that is just waiting to be enjoyed! The “Mona de Pascua” is a cake that represents the coming of spring and the end of Easter. The tradition is a long one, with many historians believing that it stretches all the way back to 15th century Catalonia. Originally, the cake was a more savory affair that was topped with boiled eggs to celebrate the passing of lent. After the introduction of cocoa, however, Catalan bakers started to get more creative and today, people enjoy cakes that are topped with all types of colorful and tasty toppings. If you are here for Easter, you should be sure to participate in this delicious tradition. You will notice that many bakeries across the city compete to present their own “Mona de Pascua” in the most stunning way possible, so it can be fun to take a look at those! There are a lot of bank holidays at this time of the year, and Monday is especially reserved for families to celebrate together. This means that the city is a little quieter than usual, giving you the chance to enjoy a calm time wandering Barcelona’s streets and sampling delicious food and drink. With the warm weather and relaxed vibes, Barcelona is a perfect place to enjoy the Easter holidays. Barcelona is all about outdoor living. You will find that just wandering the city, with its wide streets, is an absolute pleasure. There are lots of natural parks and mountains surrounding the city, too. 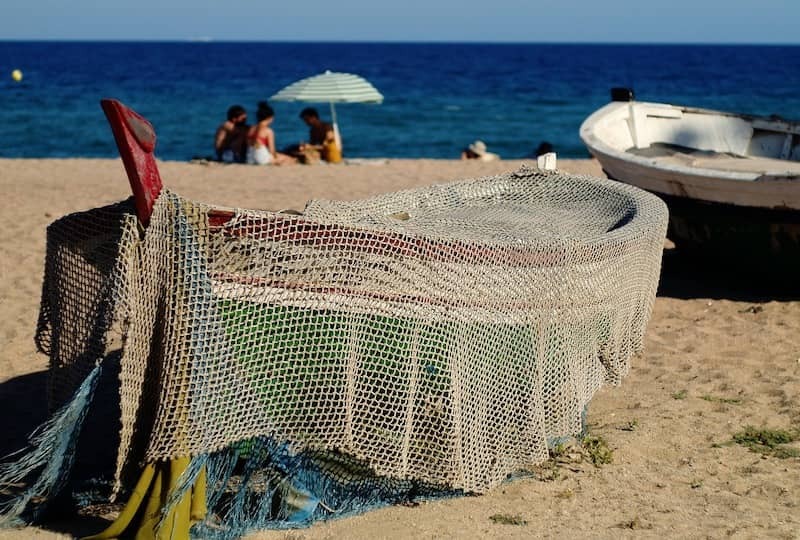 It’s an excellent time to visit the beaches of Barcelona; you will find a lot of locals enjoying the sun and practicing sports at the beach. By the middle of April, Barcelona is heating up quite nicely. Temperatures average around 20° and it’s definitely possible to enjoy nice strolls and a delicious meal on a terrace. If you are looking to enjoy a relaxing weekend, you should be sure to choose Barcelona. It is really special to stroll through the Catalan capital, but there are a lot of ways to get up close and personal with the stunning Mediterranean city. 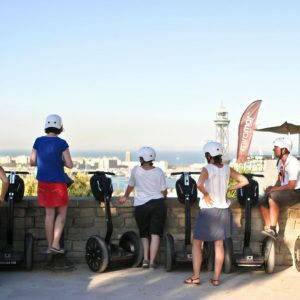 You could consider enjoying one of our various Segway tours in Barcelona. 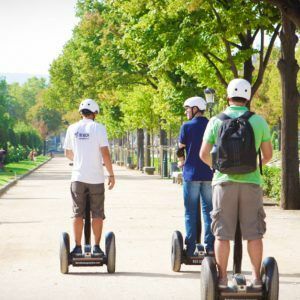 We have six tours on offer, each helping you to explore Barcelona the original way. You will see all of the essential areas of Barcelona and enjoy the insights of a local expert. While Saint George’s Day isn’t technically associated with Easter, this unique festival had to make the list. Known as “St Jordi” in Catalonia, the 23 April sees lovers celebrate together by observing a unique tradition. On this day, couples exchange gifts of roses and books. You will find Barcelona’s streets lined with stalls selling both of these in large numbers. The tradition itself is the result of many smaller ones coming together in order to pay homage to Sant Jordi, the patron saint of lovers in Catalonia. If you are visiting with a partner, you should be sure to impress them with your knowledge of the festival! Enjoy Your Easter in Barcelona! We hope that you have a really amazing Easter Holidays in Barcelona. It is a special time of the year and we are confident that you will love it! If you need any advice or tips, be sure to get in touch with us and it would be our pleasure to help!